Niaku 2. 8.5x11". Watercolor on paper. 2017. New Zealand Bush Series. While in residency at the New Zealand Pacific Studio, I went on many walks in the bush. 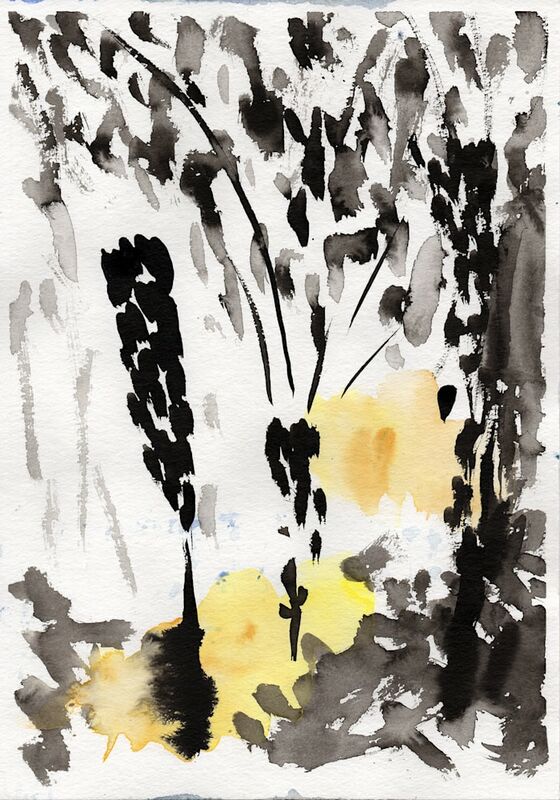 I would take a tiny sketch book and draw the postures & gestures of the trees and vines. Thinking daily about dance, I saw dance movements in the landscape. When I returned to my studio, I would use these gestural sketches as the basis for watercolors, doing 3 or 4 paintings for each sketch. 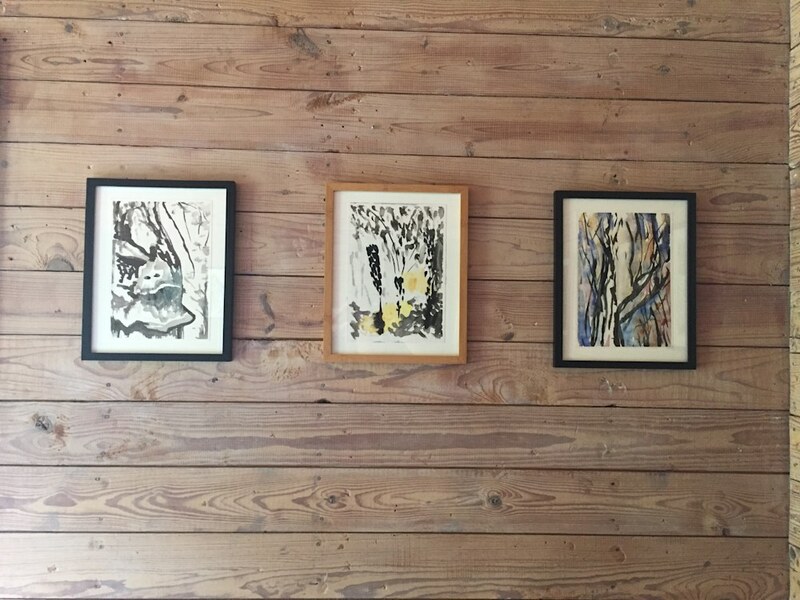 These pieces are framed in recycled bamboo and rubber tree.